Exquisite 18th Century Antique Lappets, absolutely incredible! Made of whisper fine white batiste, pure white, with the most amazing Ayrshire Whitework Embroidery. 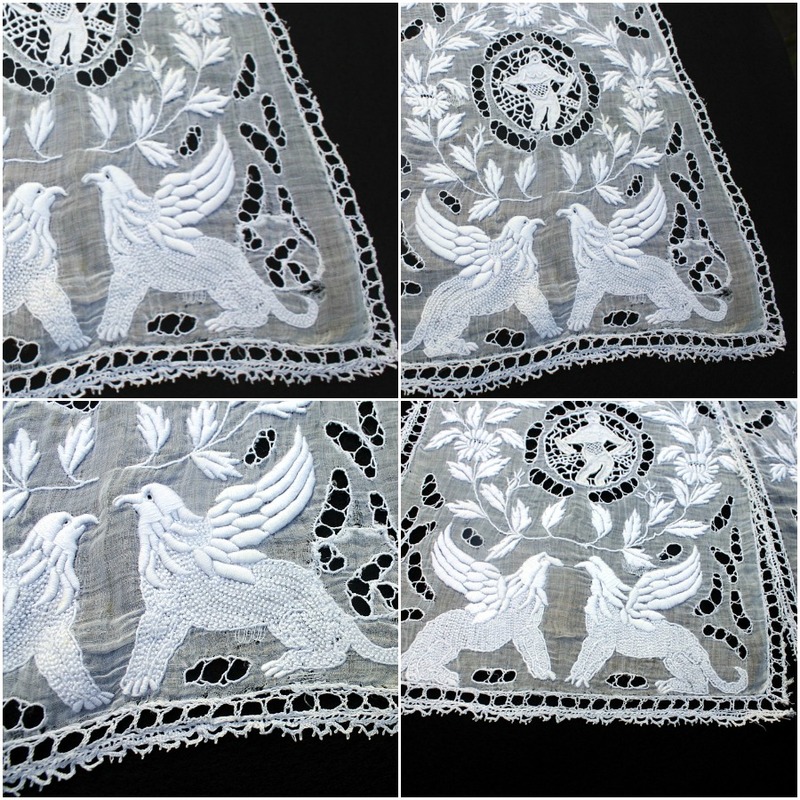 I am not an embroidery specialist, but I know amazing and rare work when I see it, these lappets are. From a European estate, a gorgeous pair, with detailing that is so rare to see, these are museum quality. The stiching is so beautifully done, the griffins have both padded stitch work as well as tiny beads of point embroidery. Each lappet has a figural embroidery, I believe to symbolize Adam and Eve, male and female, encircled with open work, or cut work. All over the lappets, sprays of lovely Ayshire florals. There are areas where threads are loose, old repairs as shown. 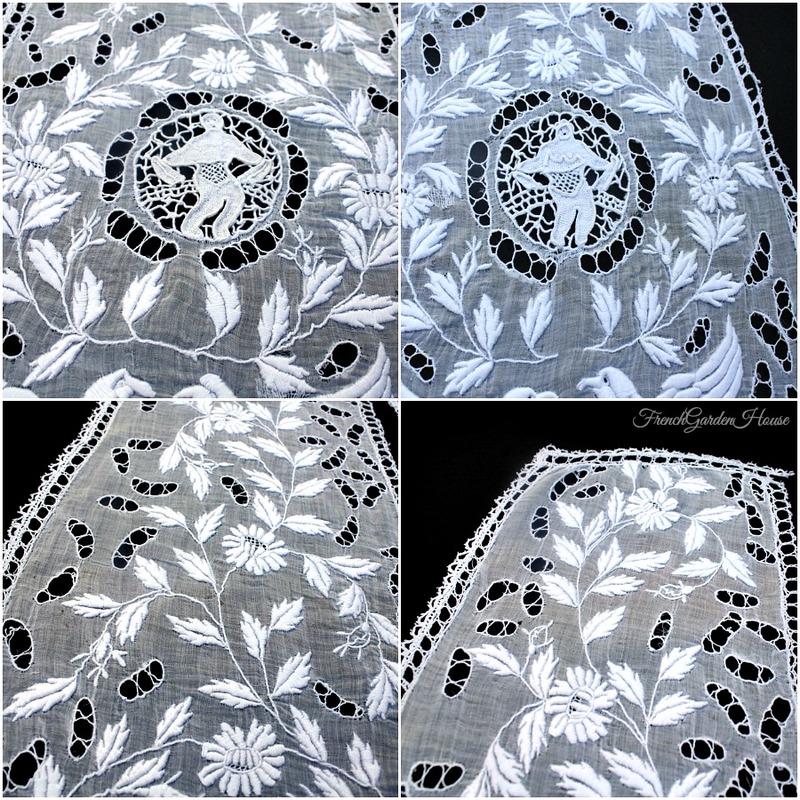 These lappets would be fantastic framed, a wonderful addition to your lace collection. The work is astounding, these are an important and stunning piece of history. Measure approximately 23~1/4" x 9~1/2" .